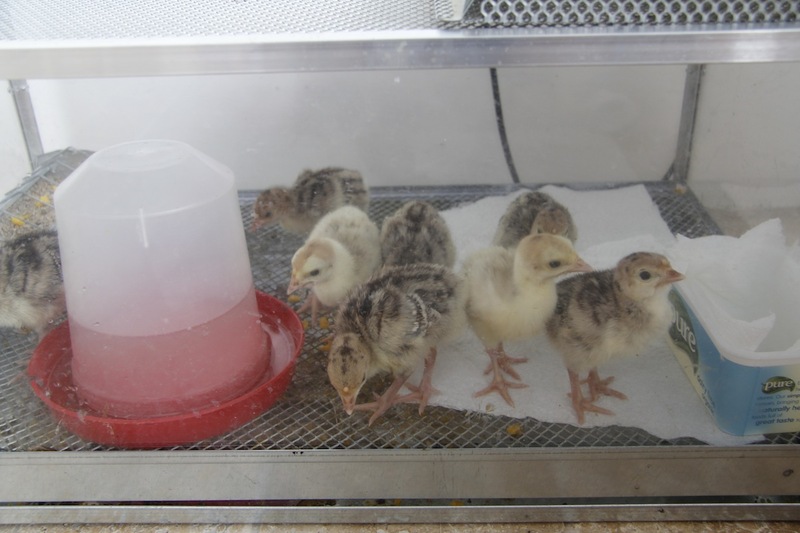 On Saturday I wrote about the 6 newly-hatched turkey chicks I had found and the 2 chicks that hatched from pipped eggs – see here. There were 3 other eggs. 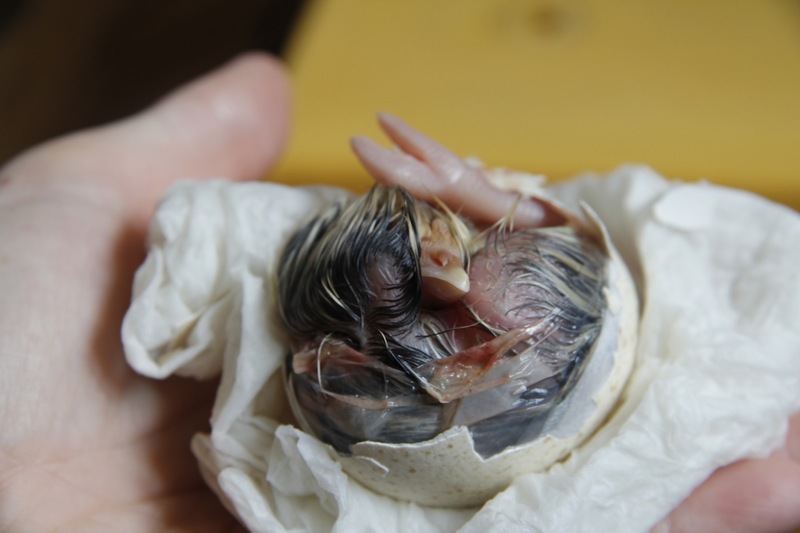 From my rudimentary candling I thought one had died while trying to unzip the egg, one was not fertile, and one had a live chick in. Its beak was in the air sack and it seemed to be moving. Saturday evening and Sunday morning I could hear it peeping – it was alive. 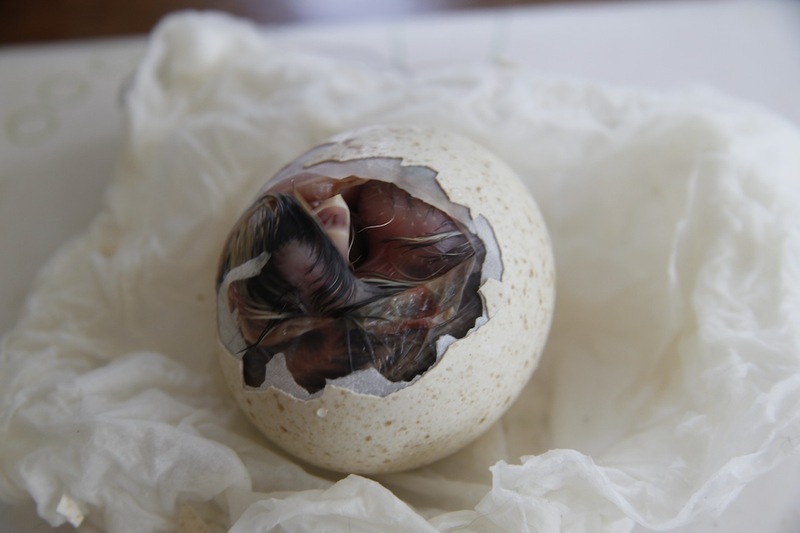 I have read that it is best to leave them alone to hatch otherwise you can create all sorts of problems. By Sunday night, there was still no sign of the chick pipping and making a hole. I still left it to its own devices – it was peeping so was still alive. By Monday I was worried. 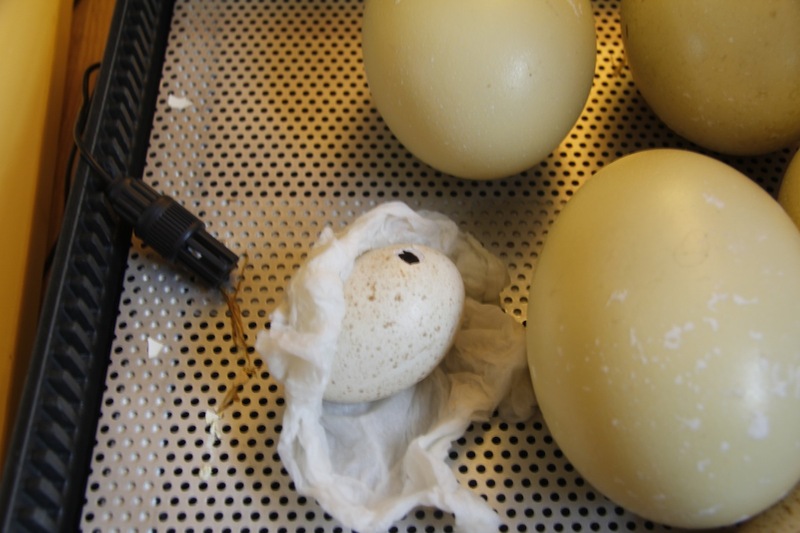 The humidity in the incubator is at about 50 as I am trying to incubate the rhea eggs. 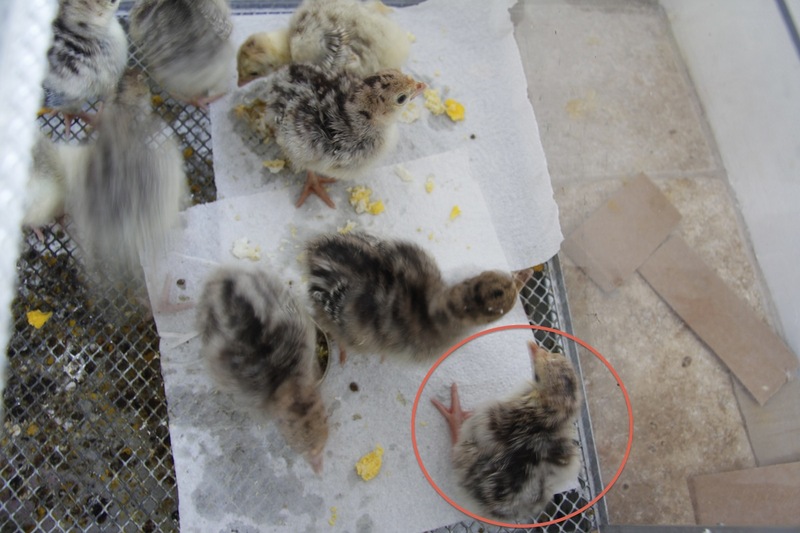 I had read that the membrane can dry out, the chicks can’t peck through it, they continue to grow and then can’t turn around and effectively they get stuck in the egg and suffocate or die in some other way. I decided to take drastic action. After reading all sorts of stuff on line (thank goodness for the internet!) I made a small hole in the shell near the beak, so the bird could at least get air. 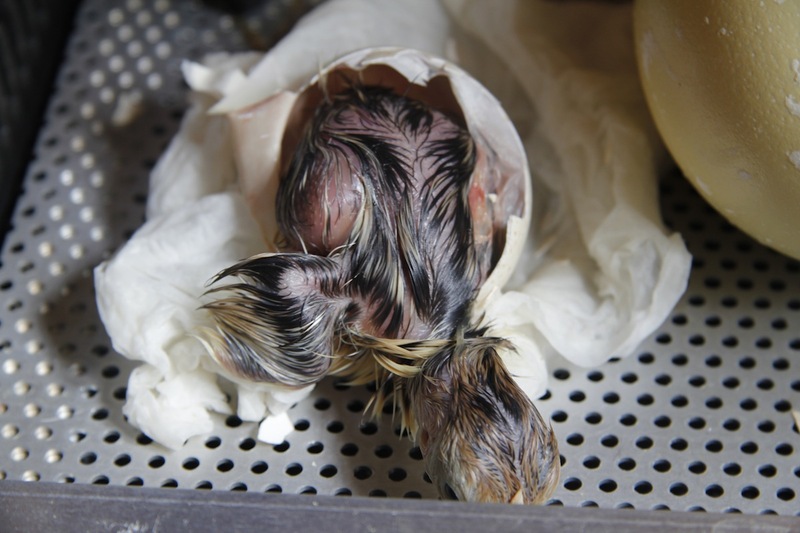 I then made a cotton bud damp and gently wetted the membrane around the hole and left the chick to it. A little later I decided I would need to crack some more of the shell away as the chick wasn’t making any progress. You can see the membrane here and that it is a little dried out. I continued to wet the membrane and wrapped wet kitchen paper around the shell to increase humidity a little. I then left him to it. As sometime later the chick was still not making any progress I opened the egg a little more so it could get some more movement. It could now move its legs and wing a little. I left it in the incubator to struggle free and it did quite a good job. It worked hard, given it had been trying to hatch for days. It managed to get mostly out of its shell, but still had not absorbed all the yolk. Again, I took advice from the internet! I gently popped it onto a wet flannel, but very quickly it was moving around. 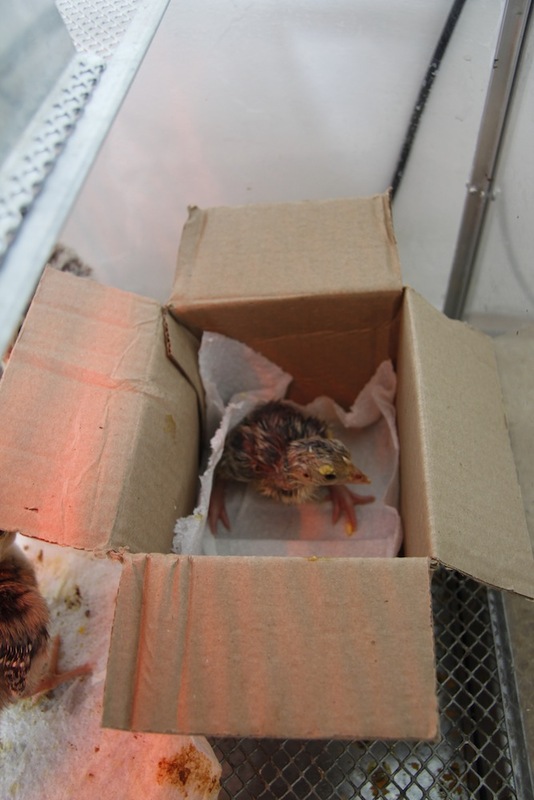 At this point I popped it in a homemade ICU unit in the main brooder so it could warm and fluff up. After one night in the ICU I introduced it to its siblings. It still has very wobbly legs but he is getting along OK and has finally (as of today) started eating which is a relief. N.B. 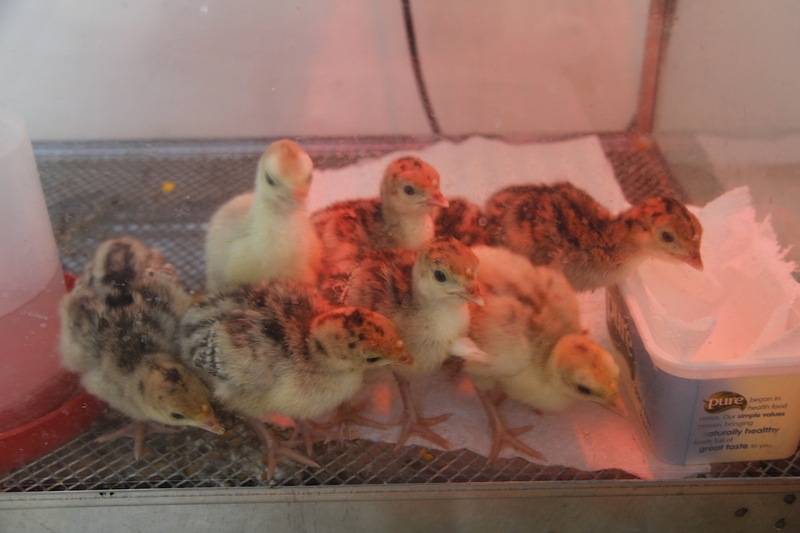 here are a couple of pictures of the other chicks all fluffy and cute….. I know this is a late response but omg what an amazing midwifery story. Such a tale of patience, internet skills, and courage to risk doing things that might not have worked. Not to mention the persistence and the will to live on the part of that amazing chick. Look forward to hearing the progress of said chick in the next weeks and months. Brava! 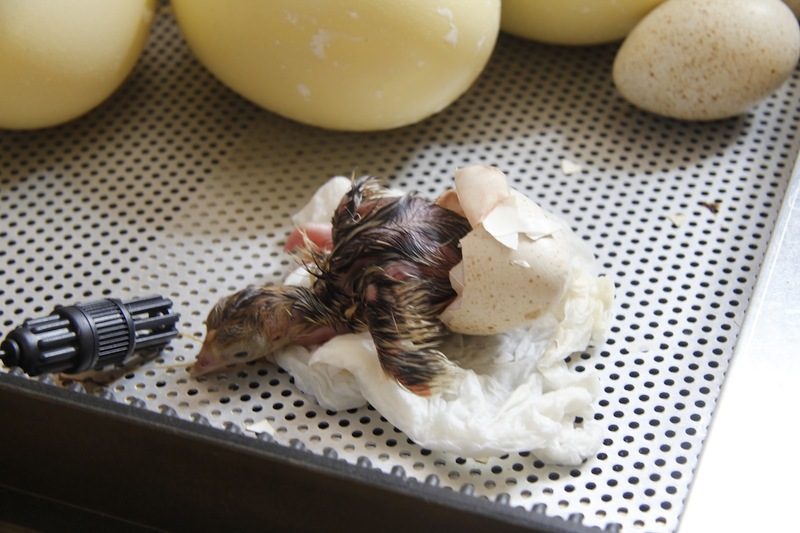 Baby chick is doing really well. He is steady on his feet and only a little smaller than the others – I think he will catch up fast. He’s running on love and the good fortune of you being the one who was paying attention to how he was trying so hard to get through. Good team work. And just as a side note – I saw Crayton reading your blog post shortly after it arrived here and I saw the images as I walked past and thought – ‘no way I can read another dead chick tale or see another sick/dead baby chick’ and so assumed I would hardly glance at your post. Much to my surprise, and delight, see my note above.